Instant Pot Vegan and Gluten-free Savoury Snack: Methi Muthia | Steamed Fenugreek Savoury Bars. bored quickly with food and need to keep changing things. 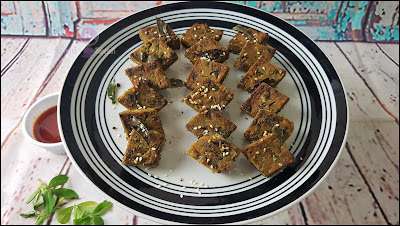 If you are looking to add a lighter, simple and healthier option for your snacks or appetizer, then here is savory steamed healthy methi muthia. Once you prepare it, you will prepare it again and again, because they are so tasty, healthy and non-deep fried. It's yummy, filling and so full of flavor. 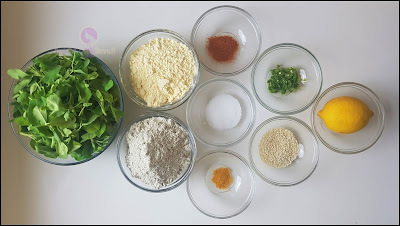 I like saving time, so the recipes I create are instant, healthy and easy to make and none of them call for expensive ingredients. Everything is easily accessible from your kitchen pantry. It can be made ahead of time, and whenever need just take out from the refrigerator and stir fry in a pan for 4-5 minutes. It's naturally vegan and gluten-free, no artificial ingredients added here. Just aromatic, fiber-rich fenugreek leaves with a bajra and chickpeas flour coating. So, this healthy and easy to prepare methi muthis can be eaten as a breakfast dish or as an evening snack. 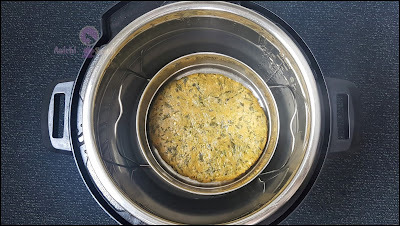 I love fresh fenugreek leaves, and I have prepared recipes using fenugreek leaves in many ways as possible. Also, new year's resolution of mine is loose some weight for that weight loss journey I keep looking for a healthy, filling, yet tasty snacks. 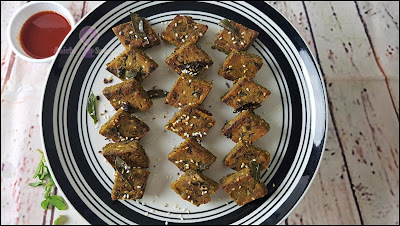 This methi muthia is one of my favorite savory snack to munch on. These savory bars are crumbly, crunchy and light on the stomach. This is the best way to get children to eat fresh green fenugreek leaves (veggies). 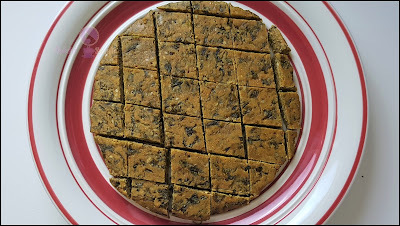 Chickpeas flour is a good source of protein, fiber, vitamins and minerals and they are so filling and make you feel full. Fenugreek leaves are the most widely used green leafy vegetable. Fenugreek leaves are aromatic and help to enhance the flavor of any dish and are used in many cuisines. They are rich in fiber and hence helpful in treating gastric problems like constipation. Bajra(pearl millet) is rich in magnesium, and it helps to prevent heart diseases. It has high amounts of fiber and helps digestion. Chickpeas flour is gluten-free, higher in dietary fiber and has a higher in protein too. 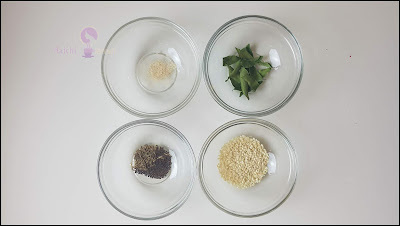 Have you ever tried methi muthia before? 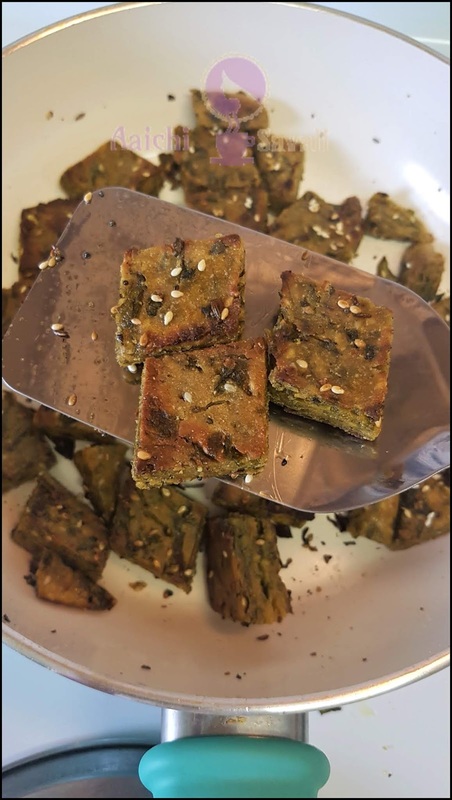 If you are like me and love to snack on crispy, savory food, but having a habit of eating healthy food, then you will absolutely love this fenugreek and chickpeas steamed savory bars/methi muthia. Preparation Time: 10 Minutes; Cooking Time: 15 Minutes. Each Serving of Methi Muthia Contains 35 Calories. Wash and chop fenugreek leaves and set aside. 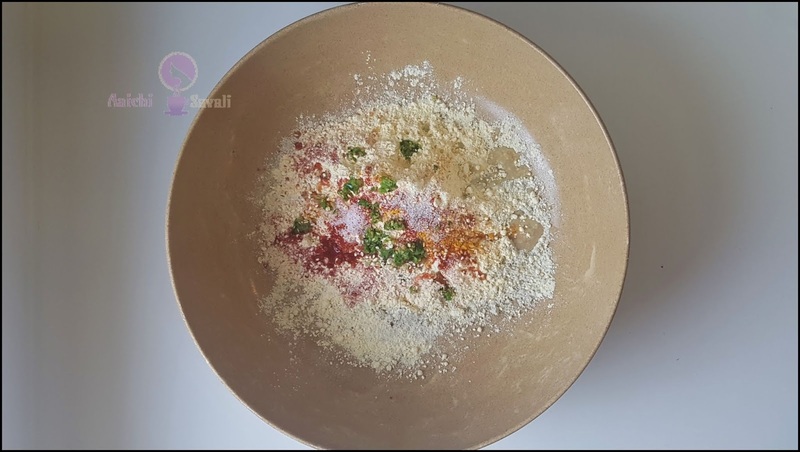 chickpeas flour(Besan), Sesame seeds, turmeric, red chili powder, salt, green chili-ginger paste, lemon juice, and fenugreek leaves and mix well. Add water as needed and knead to make the dough and flatten dough ball. Grease pan with oil and transfer flattened dough into the pan. cups of water into it. 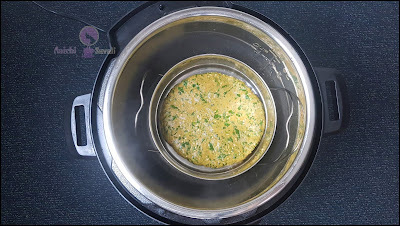 Place pan into the pot and close the lid and steam it for 9 minutes. After 9 minutes turn off the instant pot and open the lid. Take the pot out and transfer the steamed dough into the plate and let it cool and cut into square shape pieces. Add steamed muthia and cook them on 3-4 minutes on medium to low flame. 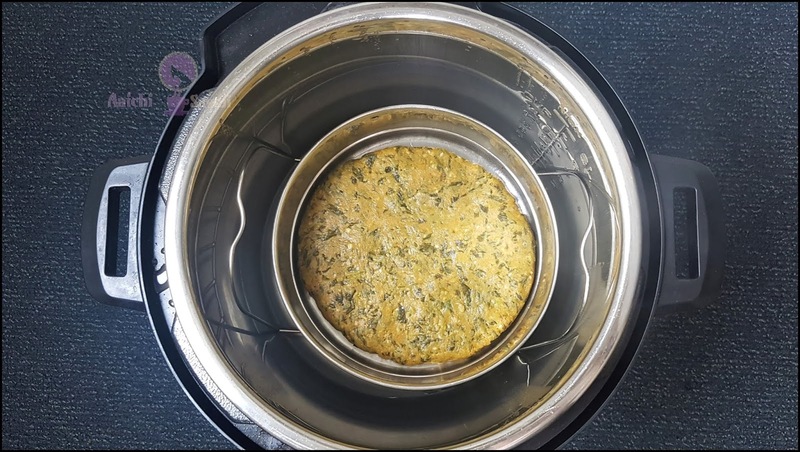 Here, tasty and healthy methi muthia is ready to serve. Enjoy!!! 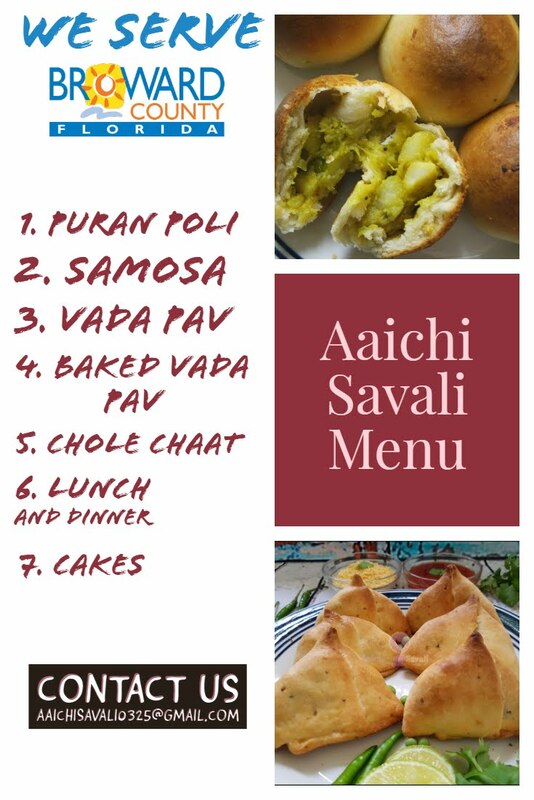 You can add wheat flour/buckwheat flour/jowar flour instead of bajra flour. It makes 24 servings. Calorie count is based on a 2000 calorie diet. Per serving contains 35 calories, along with 5.33 g carbohydrates, 0.97 g fats, and 1.23g protein. Fenugreek is rich in fiber and antioxidants, it helps in flushing out harmful toxins from the body and aids digestion. It helps to relieve indigestion and stomach pain. Pearl millet and chickpeas flour are naturally gluten-free and non-allergenic. Millet’s high protein content makes is a substantial addition to a vegetarian diet. 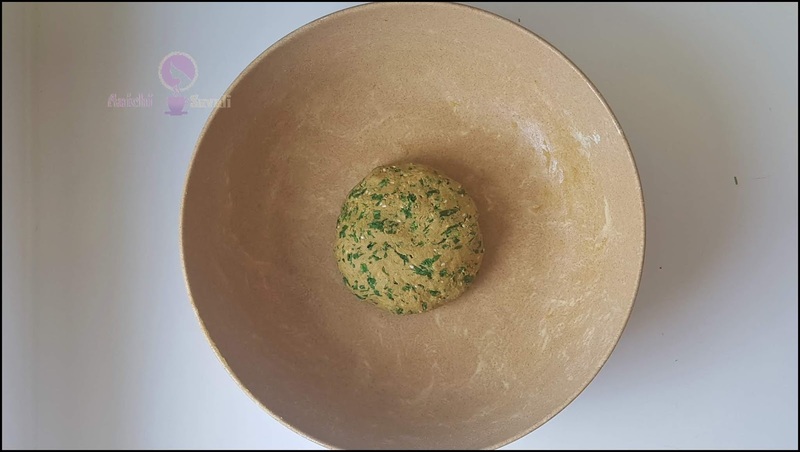 Chickpea flour has high protein content it can be quickly be consumed by vegetarians to fulfill their protein needs. 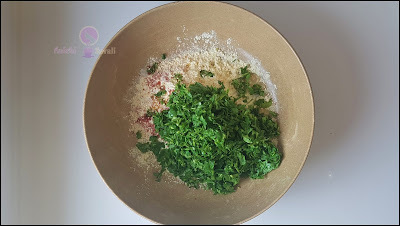 It's good to eat methi muthia for a snack or for breakfast.